A brilliant 139-run partnership between Rohit Sharma and Ajinkya Rahane with some late steam from Hardik Pandya saw India win the match by 5 wickets and thereby the series. Earlier, Australia’s middle order failed to capitalize on a brilliant Aaron Finch century posting a sub-par target of 294 runs. Brief Scores: Australia 293/6 (Aaron Finch 124; Steven Smith 63; Jasprit Bumrah 2/52; Kuldeep Yadav 75/2) lost to India 294/5 (Hardik Pandya 78; Rohit Sharma 71; Pat Cummins 2/54; Kane Richardson 1/45) by 5 wickets. Australia decided to bat first after the winning the toss, which looked like an obvious decision given the flat nature of the track and their untimely collapse while chasing in the previous two games. The Kangaroos were clearly relying on a strong batting display as they brought in Aaron Finch in place of Hilton Cartwright while Peter Handscomb came in for Matthew Wade. Despite all the talk of the Holkar pitch being batting-friendly, the Aussies could only manage a slow start to their innings with the first boundary coming as late as in the fourth over. Bhuvneshwar Kumar and Jasprit Bumrah enjoyed confident early spells in the game before the bounce less track saw the openers picking them up at will. Boundaries came occasionally but the runs were largely kept in check by some clever bowling by the fast bowlers and Australia could only reach 50 runs by the tenth over. But just as the duo was looking like they were getting ready to launch an assault on the bowling, a clever off-cutter by Hardik Pandya bowled Warner as Australia were reduced to 70/1 in the 14th over. However, skipper Steven Smith walked in next made sure that he gave the settled Finch more balls to face. Australia’s run flow didn’t improve over the next six overs as they could only score 28 runs but the batsmen looked like they were comfortable with the pace of the wicket. But once the score went past 100 in the 20th over, the Aussie duo started attacking the bowlers and with five boundaries in as many overs, Australia finished reached the midway point with the scoreboard reading 135/1. Virat Kohli didn’t allow any bowler to get settled in the batsmen’s eyes as all the bowlers took turns in search of a wicket but to no avail. Finch had started seeing the deliveries as a football now, easily picking up fours and sixes at regular intervals. Australia scored a quick 40 runs in the next five overs before Finch reached his eighth ODI ton. The continuous bowling variation didn’t help Smith and Finch either as Australia made the next fifty runs in seven overs with Smith reaching his half-century in the 37th over. The frustrating pace of runs was against Finch’s nature and in a bid to up the ante, he was caught at mid-wicket by Kedar Jadhav off Yadav’s bowling with the Australian score at 224-2 in 38 overs. The onus was now on Smith but the huge number of dot balls wasn’t helping his cause as Australia could only gather 12 runs in the next four overs and Smith soon fell prey to one of Yadav’s flighted deliveries being caught at long-off by Bumrah. Maxwell (5) followed suit leaving the visitors reeling at 245-4 in 43 overs. The target of 300 was still probable with Travis Head, Marcus Stoinis and Handscomb coming next. But, Australia were looking at yet another middle-order collapse. Both Head and Handscomb failed to cross the single figure scores and Stoinis’ late heroics, 27 runs off 28 balls, could only propel Australia to a total of 293 runs. Unlike Australia, India refrained from a slow start. Barring the opening three overs that saw Rohit Sharma and Ajinkya Rahane gauging the pace and bounce of the pitch, they had an aggressive approach to the Australian bowlers. After a meek eight runs from the first three overs, India accelerated the pace massively, reaching 55 runs by the ninth over with Sharma and Rahane dealing in fours and sixes irrespective of the bowlers. Neither Coulter-Nile nor Cummins could make an early breakthrough, which led Stoinis and Kane Richardson being introduced but the settled duo hit them for 24 runs in ninth and tenth over to take India’s score to 68/0. Sharma brought up his 33rd ODI fifty, which incidentally was also his fastest in ODIs, before India crossed the 100-run mark in the 15th over. After reaching his half-century, Rohit Sharma slowed down the pace but by then Rahane had come into his own and with a cracking boundary, he brought up his 21st ODI fifty. India were comfortably sitting with 134/0 when Sharma (71) finally mistimed his shot in Coulter-Nile’s slower delivery to Cartwright at deep-midwicket. Rahane (70) followed suit, a couple of overs later, when he was caught plumb by Cummins. With Virat Kohli and Hardik Pandya at the crease, India reached 157-2 at the halfway stage of their innings. With just 157 runs needed in 150 balls, Kohli and Pandya were hardly under pressure. The required run rate of 6.28 demanded very little risk on their parts but they opted to go for the big shots regardless of that, hitting Cummins and Agar for two fours and a six in the next two overs. Impatience and crowd pressure got the better of the Indian skipper eventually and six boundary-less overs forced Kohli (28) to go for the big shot which ended in Finch’s hands at long off as the scoreboard read 205/3 in the 35th over. The pressure doubled on team India when Kedar Jadhav was caught behind after just three balls off a Richardson delivery. Manish Pandey came on to steady the mast amidst sudden disruption making sure that Pandya gets more of the strike. 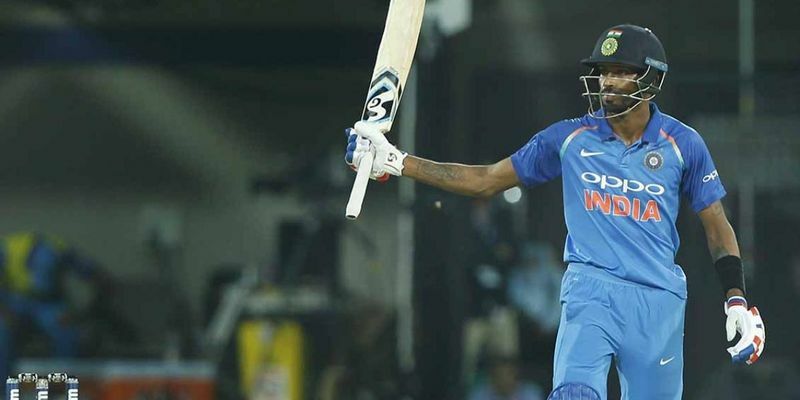 Pandya was dropped by Smith in the 37th over and the hard-hitter ensured that the Aussie skipper regretted it as he brought up India’s 250 run-stand in the next five overs and helped the Men in Blue to almost cross the finish line with a brilliant 78 runs from 72 balls. Pandey’s timely knock of 36 runs off 31 balls finally pushed India over the finish line to seal the series with a couple of games to spare.